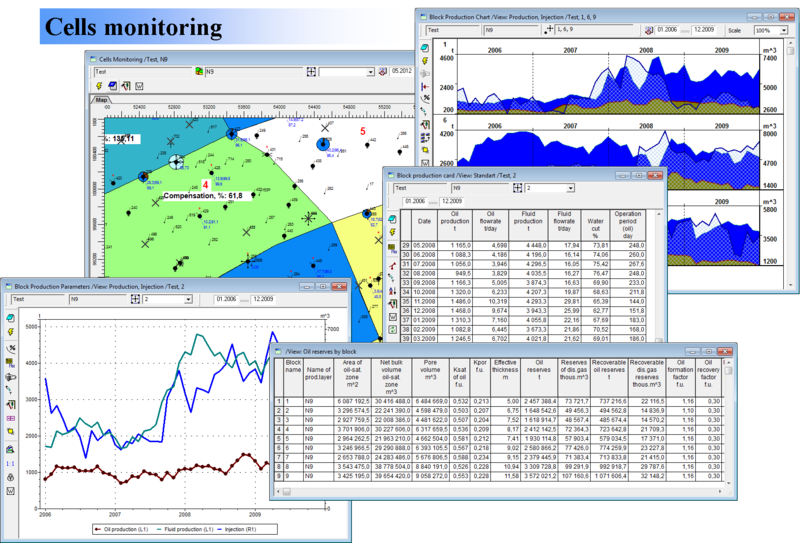 The software module «Acel» is designed for complex analysis of water flooding cells and annual planning of oil production taking into account a planned volume of drilling, workovers and production loss. Conclusion of a report form, containing the result of depletion rate, injection, working agent, introduction of new production wells by development targets, deposits and fields. Analysis of daily production parameters (tables and graphs of daily measurements, histogram of deviations in production, total value, average value, daily measurements, time averaging, calculating of workovers efficiency based on daily measurements). It is possible to specify the initial recoverable oil according to results of a development at a late stage by using an extrapolation of trend dependencies. 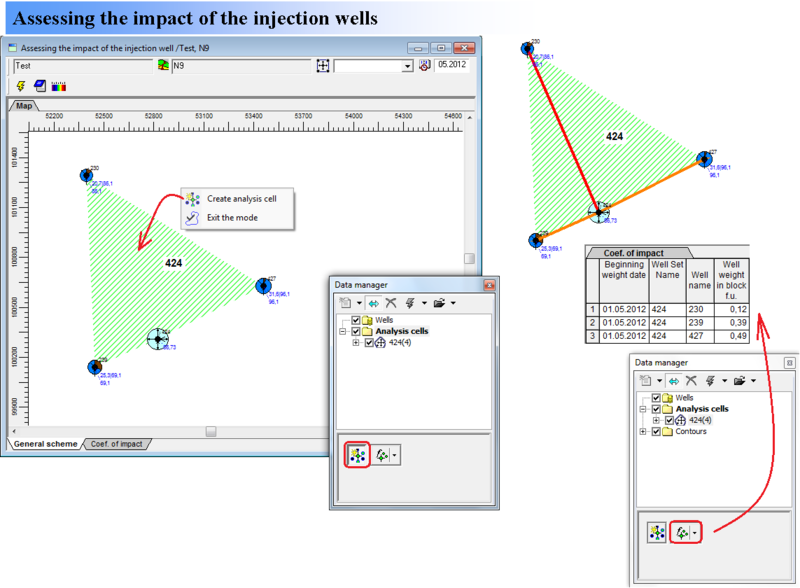 The software module «Acel» allows the user to calculate an influence factor of injection well on exploitation wells. The calculation is based on development parameters (oil rate, bottom-hole pressure, etc.) and values of oil effective thickness. Results are displayed on a map in the form of arrows in the direction from the injection well to production wells with a gradation of color by the degree of influence, and in the table in the form of influence factor. 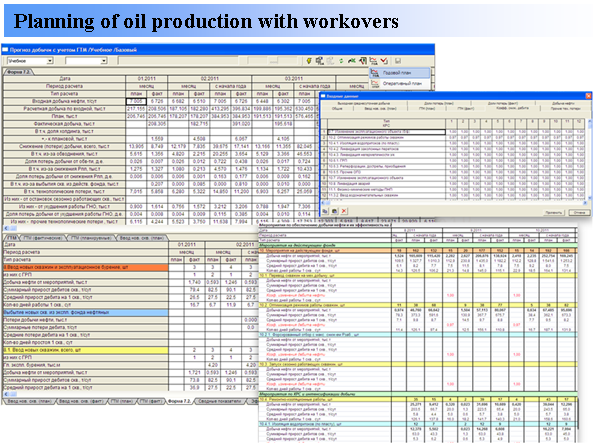 Annual planning of oil production taking into account a planned volume of drilling, workovers and production loss. It is also possible to compare the received forecasted production plan with actual development parameters and to correct the plan of workovers, taking into account the current situation of production.